If you’re in search of a premium luxury sedan that is still accessibly priced, consider going with the new Mercedes-Benz C-Class . Unlike the competition, the Mercedes-Benz C-Class doesn’t skimp on luxury and features a premium interior replete with amenities like available leather upholstery, spacious seats, and advanced technologies . 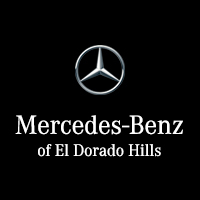 Take a closer look at its critically acclaimed cabin, and then step inside to take the C-Class for a test drive at Mercedes-Benz of El Dorado Hills. This compact sedan comes with seating for up to five passengers and a trunk that measures 12.6 cubic feet. Enjoy the comfort of available heated and ventilated seats, fitted with MB-Tex® leatherette upholstery or genuine leather upholstery. A three-spoke steering wheel and premium ambient lighting accent a beautiful MB-Tex® stitched leatherette dash. An intuitive multimedia control center for everything from music and entertainment to navigation and smartphone apps. With style and amenities like these, the Mercedes-Benz C-Class interior truly needs to be seen to be believed, and you can do that without venturing far from Folsom at Mercedes-Benz of El Dorado Hills. We make it easy for people of all credit backgrounds to finance a Mercedes-Benz , and our friendly sales staff makes the whole process a breeze. So contact us online, and schedule a test drive today! While you’re here, be sure to check out our comparison between the Mercedes-Benz C 300 and the Lexus IS, as well as our Audi A4 comparison.